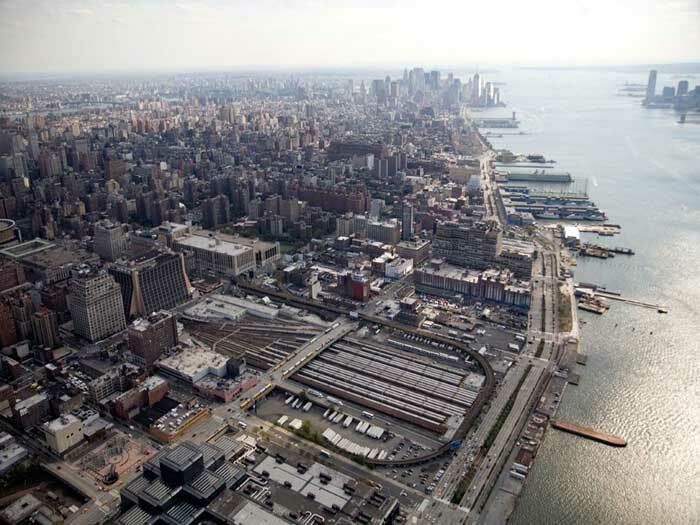 Many questions can be raised about the current Hudson Yards development currently in construction on the West Side of Manhattan. 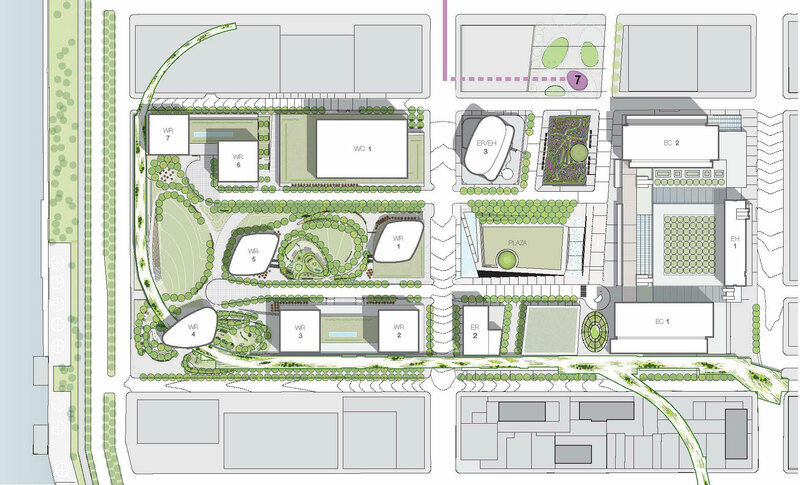 Is a mega high-end housing and retail project an appropriate exclamation point to the acclaimed high line project? Was it really necessary to increase MTA passes multiple times throughout the great recession to maintain the funding stream for the 7-line extension so this project wouldn’t miss a beat? Isn’t all the smart phone data mining to be employed within the boundaries of this area for the personalization of the experience a little creepy? All are interesting questions, and I’m sure are addressed somewhere else on the net. But the thoughts I have observing the project are actually quite simple and basic. 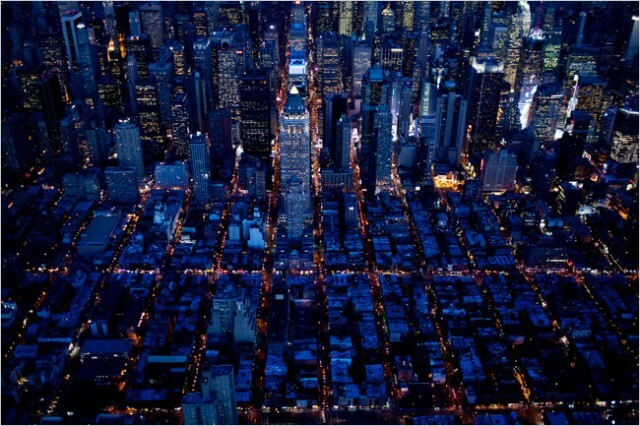 Why does the project not respect the Manhattan grid? It seems that whenever developers in Manhattan get a chance they the prefer a super-block strategy. 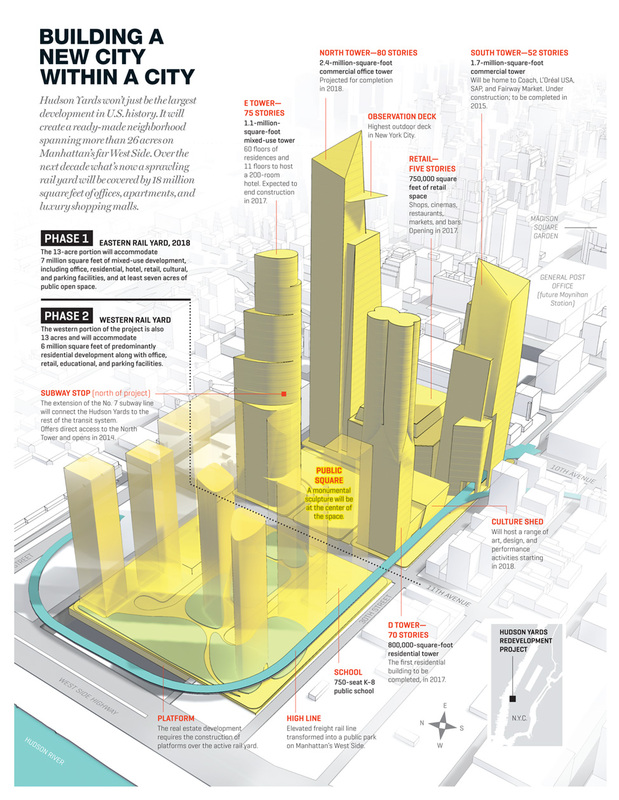 Hudson Yards is no different. 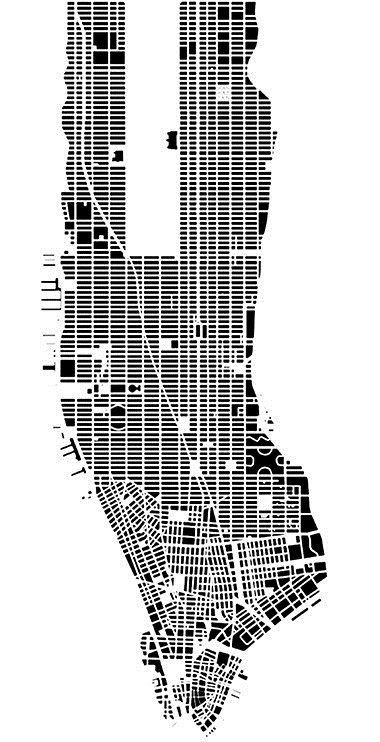 In this Nolli Plan of Manhattan the effects of the super blocks are obvious. I’m not saying that the grid is sacred or holds intrinsic urban secrets within, and I do know that currently as it exists the grid has already been erased on the site. But, there is something to be said about the history of super-blocks. Le Corbusier proposed the new scale in his 1925 Radiant City, and the ripples still continue. 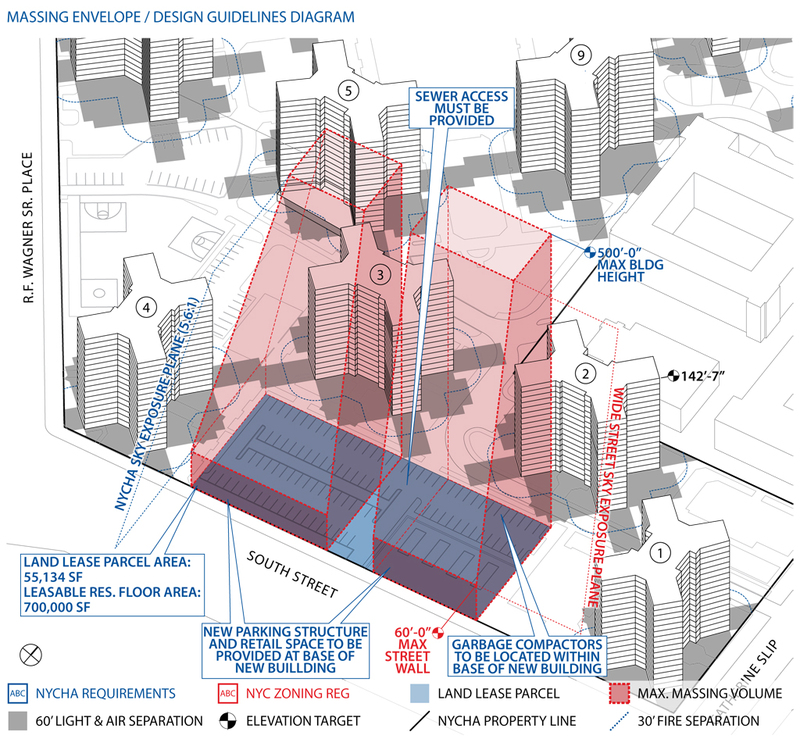 My question is, are we re-hashing the same mistakes made with the large scale housing of the mid 20th century? I know there are many theories as to why these were not successful. Some would say that they weren’t the true fulfillment of the Radiant City and therefore the idea still holds possibilities. Even given this, I do think the high rise/open space super block form was a major reason for their failure. Current thought appears to be that if the new blocks has more luxury and more retail they will be more successful. The truth is that no matter how nice it is now, in 20 years it will be old and dated. This newness phenomenon is apparent within shopping malls across the country They have continually gone empty and been replaced by bigger and better ones. 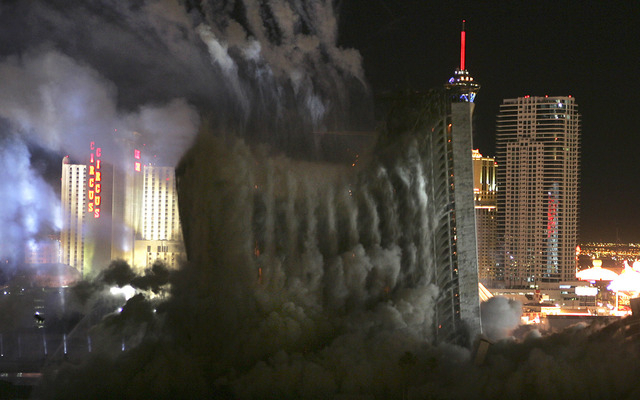 Another example can be seen in constant re-erasure of Las Vegas. 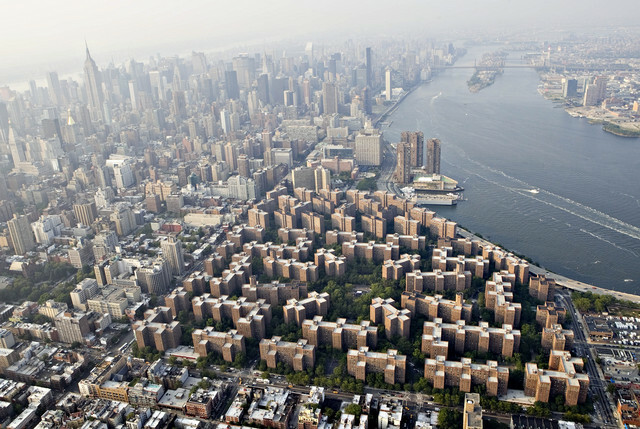 The ironic thing is that many of the public housing blocks in New York mentioned previously, now have proposals to be filled in. It’s not an example of renewed urban planning ethics, but more about the Housing Authorities need for cash.